With news around the latest versions of Apple’s tablet, the 7-inch iPad Mini and the iPad 4, starting to circulate heavily, have you stopped to ask yourself how far you’re willing to go to get your hands on the latest gadget from the Cupertino-based company? We’ve all joked about selling a kidney to get our hands on a new toy but it looks like one kid in China actually went ahead and did that. And now, nine people are on trial in Hunan, China for allegedly helping him sell his kidney so he could buy an iPad. A report from CNNreveals that Chinese prosecutors have said in court that the nine people who were involved in selling the kidney then 17-year-old high Wang Shangkun “should be held criminally liable for intentional injury.” The high school student’s kidney was removed in April 2011 and the victim suffered renal failure shortly afterwards. According to the prosecutors, there were five masterminds behind the illegal kidney trade — He Wei recruited donors via internet chatrooms and then reached out to Yin Shen and Tang Shimin who then found Su Kaizong, a contractor at the urology department of the military hospital where the operation was done. Song Zhongyu, a urinary surgeon, carried out the medical procedure. Wang’s kidney was sold for 150,000 Yuan ($23,500) and $10,000 in cash. However, Wang only received 22,000 Yuan for his kidney. The rest of the money was split among the accused. 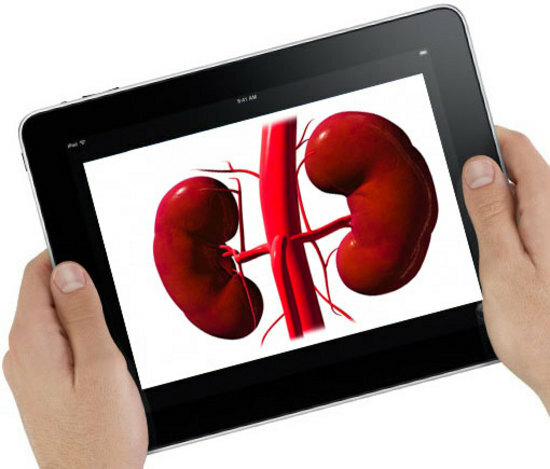 Wang then used the proceeds from the sale of his kidney to buy Apple products, one of them an iPad. When his mother asked him where he had gotten the money, that was when Wang broke down and confessed that he had sold his kidney. The hearing ended last Friday and the verdict will be announced at a later date. If found guilty, the masterminds may face 3 to 10 years in prison for illegal organ trading and intentional injury.